As everyone knows, I love a good pasta dish. And I love brussels sprouts. And Gorgonzola. So this recipe is very nearly perfect—that is, after I made a few changes. I originally found this recipe through Pinterest, a pin from Kraft’s website, but decided to tweak it a little. It called for asparagus, which isn’t really my thing, and was quite expensive this time of year. And I found a really fun kind of pasta, something a little fancier than penne. Cook the pasta according to the directions on the package, salting the water once it’s come to a boil. Cook til al dente, don’t let it get too soft. Meanwhile, heat oil in a skillet on medium-low. 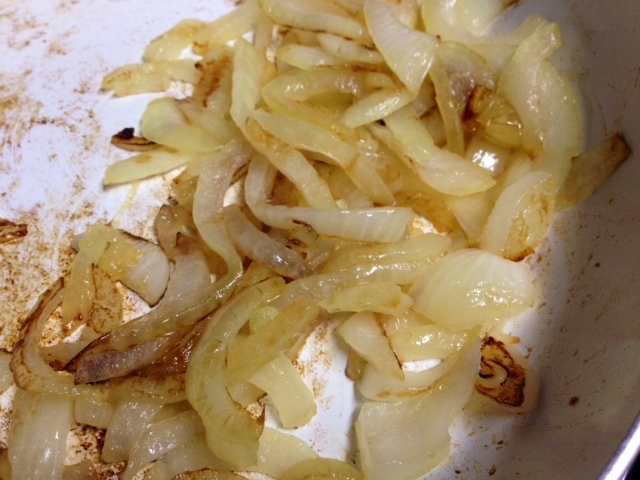 Slice the onions into thin strips and rings, then add a little salt and the sugar. Cook on medium-low (about 4 on my stove) until they’ve caramelized, stirring occasionally. It’s important not to have the heat too high for this, or else the onions won’t caramelize—they’ll just soften. Once they’ve caramelized, set aside in a bowl. Aren’t those pretty?? 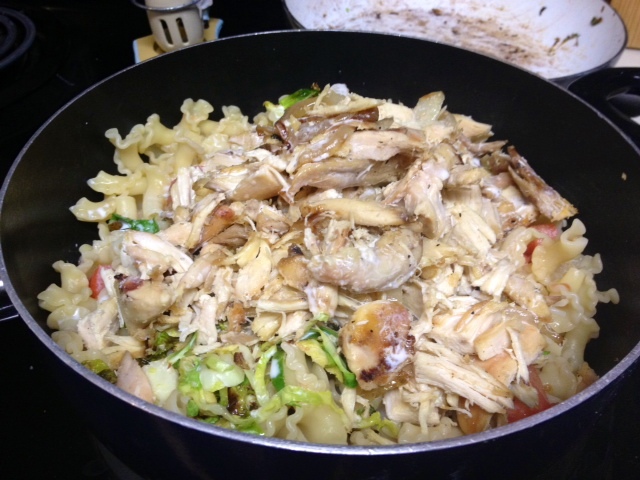 While the onions are cooking, heat the chicken with some oil and salt and pepper in a separate skillet. In the same pan you cooked the onions in, heat oil again, this time on medium (around 5 or 6 on my stove). Cook the shredded brussels sprouts for about 5 minutes, with some salt, pepper, garlic, and a little sugar to help them caramelize. 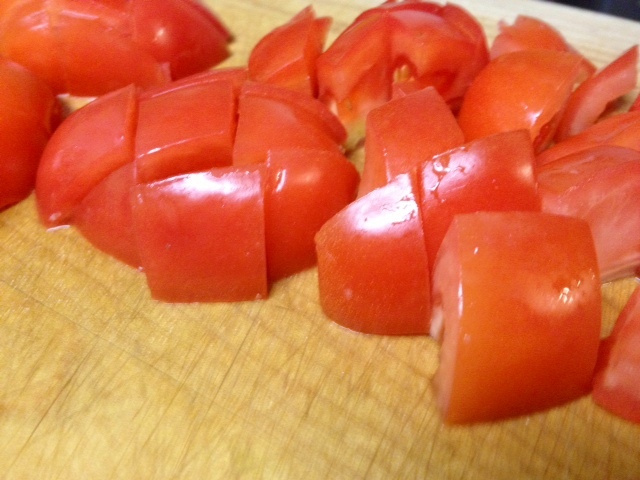 Go ahead and chop up them ‘maters. 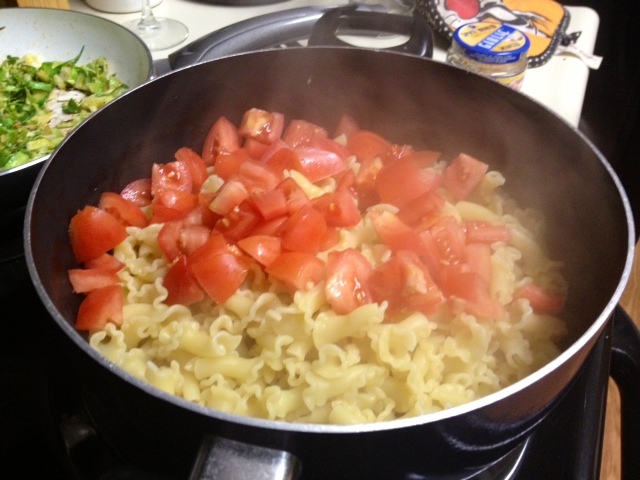 Drain the pasta and transfer it into a large skillet or soup pot. Add the tomatoes, cooking on medium for about 1 minute, stirring occasionally. 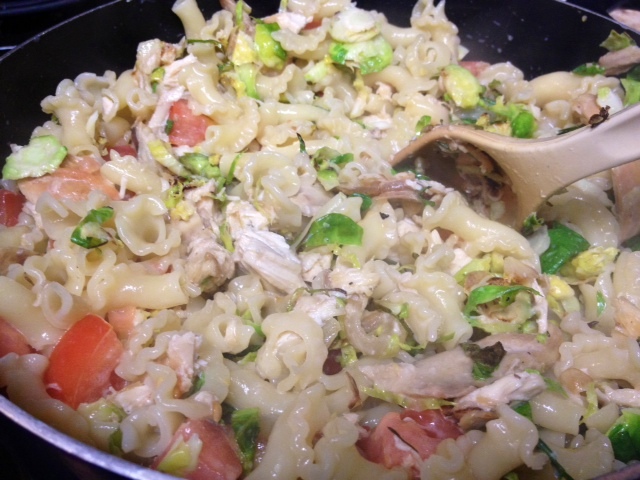 Finally, add the chicken, chicken broth, brussels sprouts, cream, and garlic to the pasta and cook for about 5 minutes, stirring constantly until sauce is slightly thickened. Add the caramelized onions and Gorgonzola and cook another 2 minutes, stirring occasionally, then remove from heat. 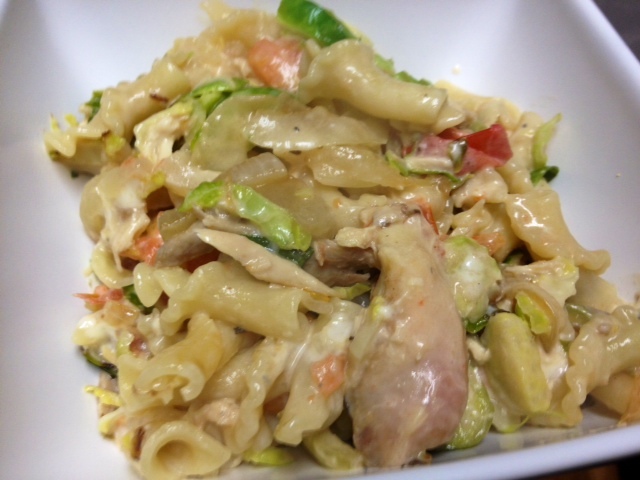 The blend of flavors was great, and the whole thing was super easy to throw together. You could switch out green vegetables if you feel like it (the original recipe called for asparagus, not brussels sprouts). Meanwhile, heat oil in a skillet on medium-low. 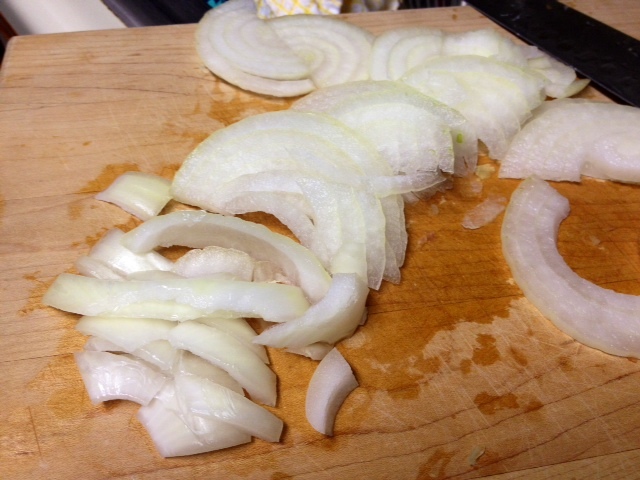 Slice the onions into thin strips and rings, then add a little salt and the sugar. Cook on medium-low (about 4 on my stove) until they’ve caramelized, stirring occasionally. 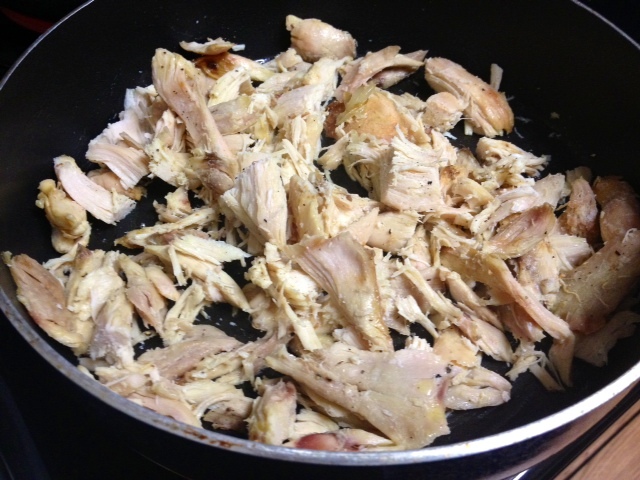 In a separate skillet, heat the chicken with some oil and salt and pepper. Once the onions are caramelized, set them aside in a bowl, then in the same pan heat oil again, this time on medium (around 5 or 6 on my stove). 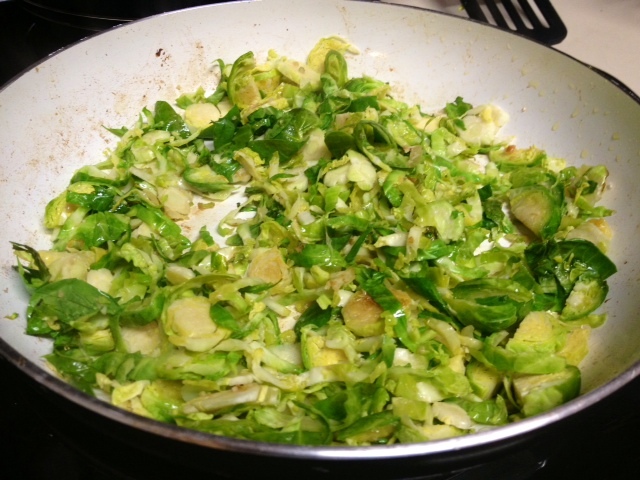 Cook the brussels sprouts for about 5 minutes, with some salt, pepper, garlic, and a little sugar to help them caramelize. 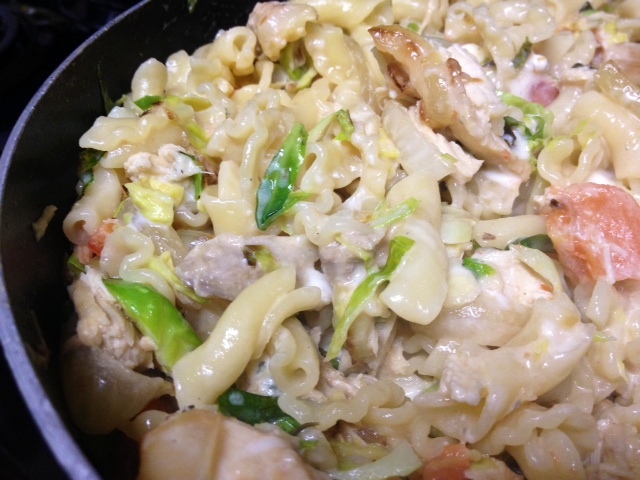 Drain the pasta and pour into a large skillet or soup pot. Add the tomatoes, cooking on medium for about 1 minute, stirring occasionally. 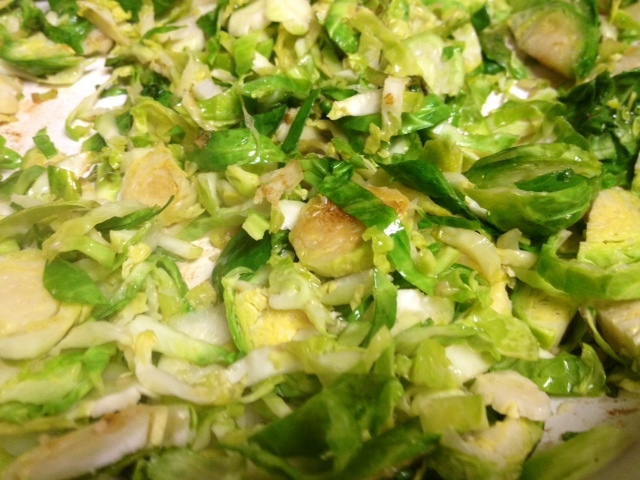 Then add the chicken, chicken broth, brussels sprouts, cream, and garlic. Cook for about 5 minutes, stirring constantly, until sauce is slightly thickened. Add the onions and Gorgonzola. Cook another 2 minutes, stirring occasionally, then remove from heat.